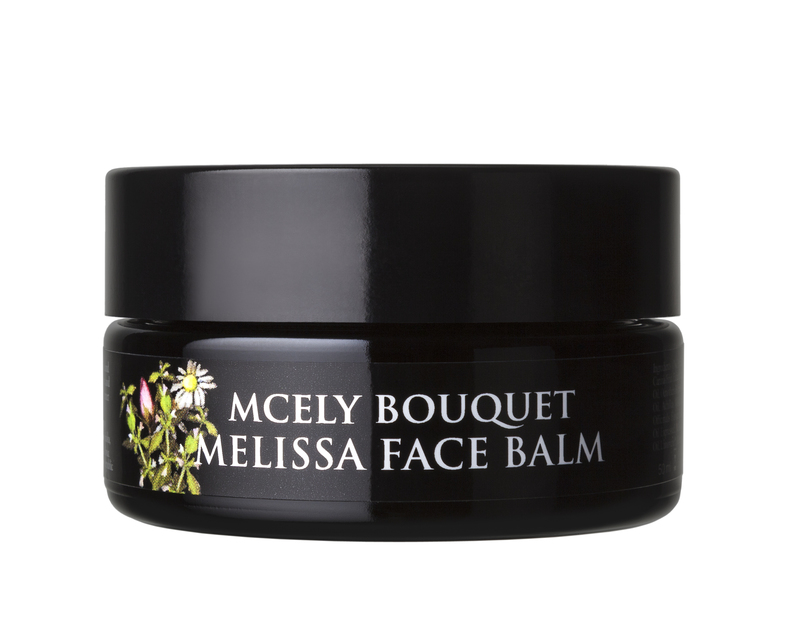 Our Melissa Face Balm, with a sweet herbal aroma, provides maximum skin nourishment. It contains deeply soothing extracts of five local herbs and an effective combination of shea butter and apricot oil. Thanks its gema-linoleic acid content, evening primrose oil restores skin elasticity. Lemon balm extract and rare essential oils of chamomile and rose rejuvenate the skin and restore inner calm. It's effective against insomnia, stress, anxiety and depression. Melissa, camomile, rose, vitamin E.
Tip: For dry skin, use it for everyday skin care. If you are prone to oily skin, use it as a special skincare treat twice a week. Massage in circular motions in a thin layer on damp skin.